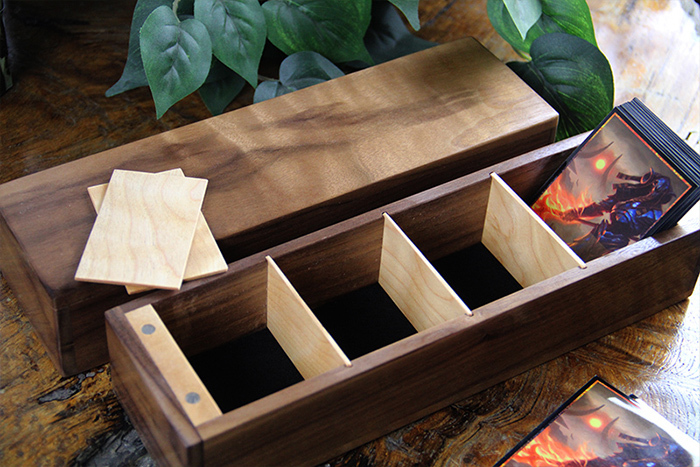 Crafted in White Ash with Red Oak finish. Features our Mjolnir engraving on the top lid, sculpted Six top interior, and sculpted Card Double bottom interior. Double coated with a custom varnish for superb luster and protection.